Built in 2007, the Hudson Crossing condominium is an intimate, low-rise building with only 12 units. Each floor plan includes a grand room surrounded by 3 bedrooms and 3 baths. 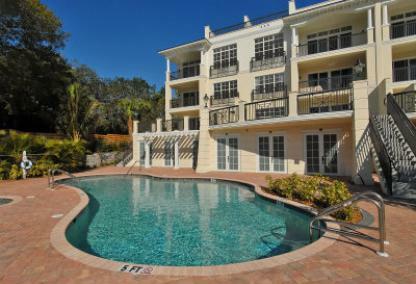 The complex is located in a highly desirable area just to the south of downtown Sarasota. 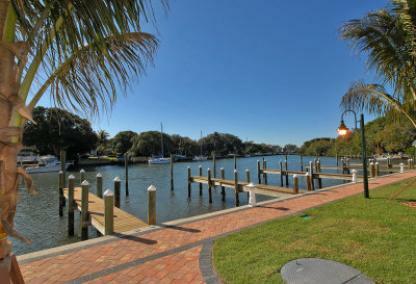 These beautiful waterfront condos are nestled on Hudson Bayou with private boat docks. The building was built strong to the hurricane code with impact windows. The residences are well appointed with 11-foot ceilings, crown molding, and built-ins. The gourmet kitchens have Lube cabinets and Wolf appliances. There are 4 residences per floor with private elevators. Each penthouse has its own private rooftop terrace with gas and electric. The ground floor houses the private and secure two-car garages, a real premium feature in downtown condo buildings. Bring your boat to your own protected deep water slip. You’ll be at the Gulf of Mexico in minutes with no bridges to the Bay. The complex also offers a beautiful, resort-style swimming pool. 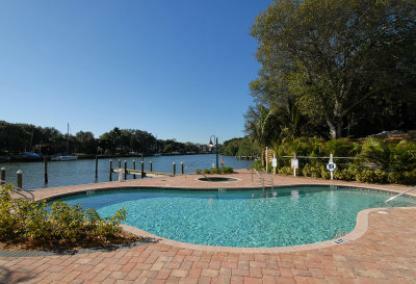 Residents enjoy walking to downtown Sarasota, Selby Gardens, Marina Jack’s and the Bayfront Park for water activities. If you are an art lover, you’ll want to spend countless hours browsing galleries along Palm Avenue. On Main Street, a wide range of local eateries, shopping and professional services are available.